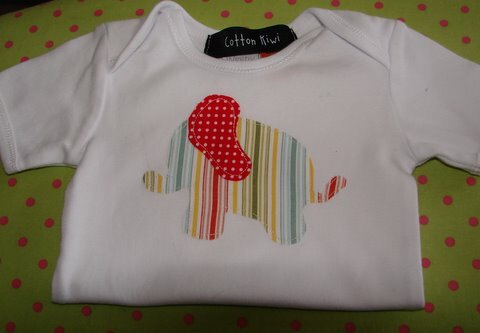 Cotton Kiwi: It's Market time again! I'll be at The Devonport Craft Market tomorrow (Sunday 3rd April) from 10am-3pm. It's at 32 Clarence Street Devonport. You can't miss it. Head for the supermarket and you'll see the enormous sign my lovely and long-suffering other half puts up for us every month. And my t-shirts are on sale. 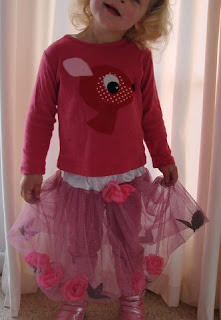 I've gone a bit crazy with the flower filled fairy skirt making. 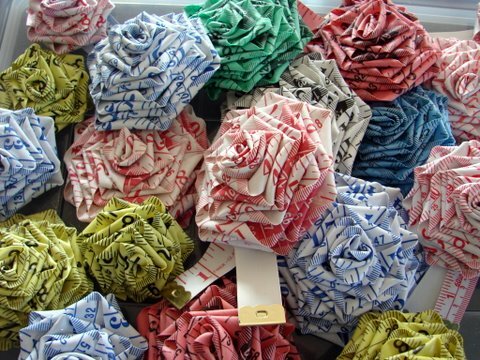 And I've managed to make a few more of these Tape Measure Rose Brooches (once I regained control of the kitchen table from the kids). 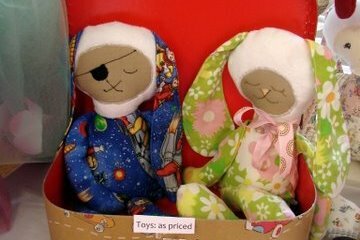 And I've got some very cute softies that I don't really want to sell but I'm worried that people will think I'm a little strange if I keep making softies and keeping them for myself so you should come and save me from being locked up. Please. I've particularly got lots of Easter type bunnies like these ones. 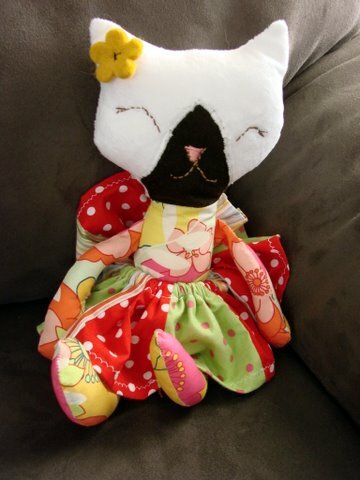 They are very cute and totally baby safe (double stitched seams and hand embroidered faces. Hope to see some of you tomorrow. Not to early (don't forget the clocks go back an hour tonight so you get an extra hour in bed... woohoo!! Have a wonderful market. I love the stuff you've been making. Especially the dolly at the top, she's gorgeous. And thanks for the daylight savings reminder. Me too - I like the first dollie, what verve she has. Also the deer tee is cute - with red and white polkadots my fav, what size is it Sarah? Looking for a long sleeve size 2 tee for the Lala. yikes those tape measure roses are super! !